Why Would a Pet Require Veterinary Critical Care? There are a few ways a pet might be admitted to an ICU. In the case of an emergency, such as pet poisoning or being struck by a car, it’s likely the pet will be brought into an emergency veterinary clinic where triage will take place. The goal of emergency services is to first stabilize your pet, and then use an array of diagnostic tests, examination, and medical history to diagnose and create a treatment plan. In many such cases, pets who are not well enough to be released to their owners will then be moved to an intensive care unit for ongoing observation, treatment, and around-the-clock care. 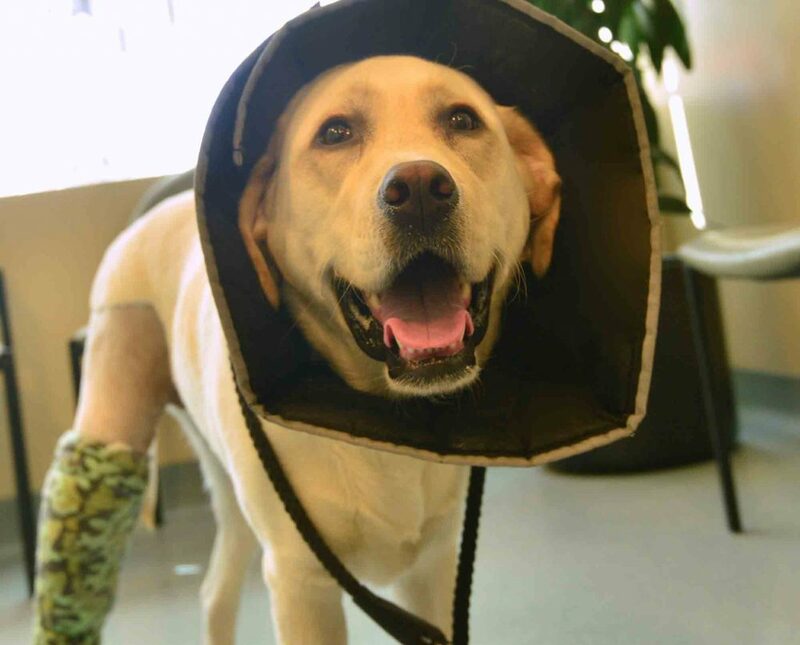 Many pets will also stay in an ICU for postoperative recovery if the surgery was complex or when treating a pet who is considered high risk for complications following a surgery (e.g., those with serious illnesses, senior pets, or very young pets). Sometimes, a condition that is chronic or terminal yet manageable with outpatient treatment and at-home care can take a turn for the worst. Some illnesses may become more debilitating over time, such as cancer, and therefore require hospitalization. What Kind of Care is Provided in a Veterinary ICU? An intensive care unit is a specialized and separate unit within an animal hospital that is outfitted with life-supporting technology and equipment. Because pets in an ICU are extremely ill or recovering from trauma or surgery, it’s vital that they be kept away from other animals in a sterile, quiet, temperature-controlled environment. These units are staffed with veterinarians, specialists, and highly skilled technicians trained in the care and treatment of critical conditions. Because many animals receiving critical care often do not have the best chances of survival, it’s imperative that treatment and oversight be conducted by those with advanced knowledge and training. Therapeutic and clinical care for these pet patients can’t be found just anywhere. At Oakland Veterinary Referral Services, we’re proud to offer these services to give critically ill pet patients the greatest chances of recovery. As a leader in veterinary emergency and critical care services, we received our VECCS Level 1 Accreditation, which means we meet the highest standards and level of care in this specialized field of veterinary medicine. Our team is dedicated to continuing education and offering the most advanced veterinary medical services to support our special pet patients and their families. To learn more, please do not hesitate to contact us.